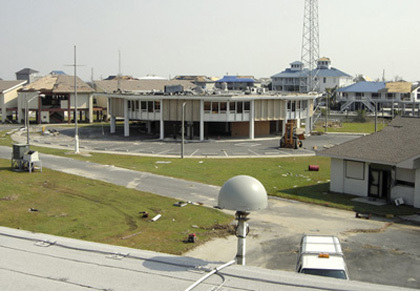 The UNAVCO Facility responded to a rapid response request by PIs Giovanni Sella and Roy Dokka to re-establish the Grand Isle, LA continuous GULFNET station which was damaged by Hurricane Katrina. GULFNET is a multiagency supported continuous GPS network that is used for scientific research and navigation. Drs. Dokka and Sella, who coordinate GULFNET, are active UNAVCO community researchers interested in causes and impacts of Gulf Coast subsidence. Data from the Grand Isle station, in addition to supporting subsidence studies, will be used to control aerial photogrammetric surveys being conducted to assess damage caused by Katrina. 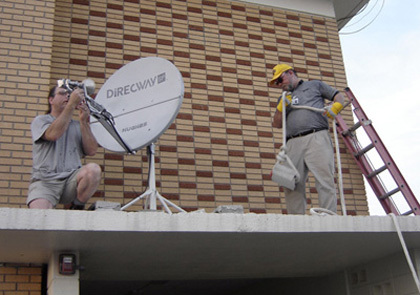 The UNAVCO Facility provided a GPS receiver, VSAT terminal and related equipment to establish satellite Internet dataflow during this time of enhanced need. 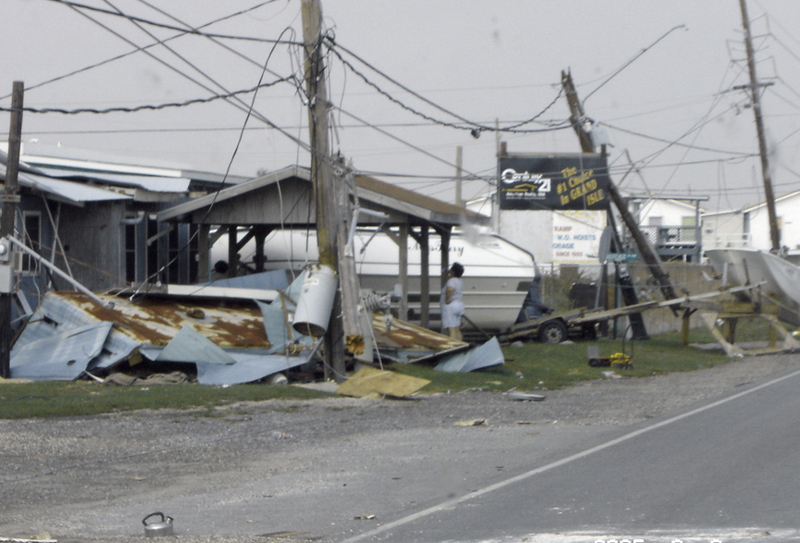 Engineer Warren Gallaher and LSU staff members Anthony Cavell, and Richard Capone traveled to the station located at the Grand Isle Coast Guard Station where emergency power was available but Internet communications were severed. Grand Isle and other GULFNET data are available through the NGS, LSU and UNAVCO archives. On September 9, 2005, Roy Dokka was interviewed on National Public Radio's Morning Edition about Louisiana gulf coast tectonics and GPS subsidence measurements. See http://www.npr.org/templates/story/story.php?storyId=4838668 for the full story.